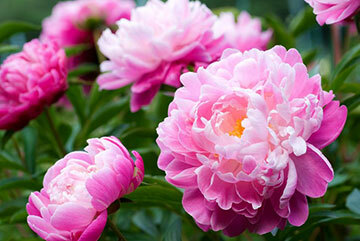 Besides being beautiful and fragrant, peonies are wonderful perennials for Northern New Mexico. 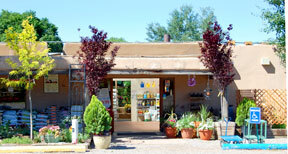 They require regular watering like other plants, approximately once a week. There are several varieties of peonies, and their large sizes at maturity mean they need plenty of space to accommodate a broad width and a tall height. All prefer a sunny, well-drained location with high fertility and at least 6 hours of direct sunlight a day to ensure maximum flower production. In Northern New Mexico, some can also take light shade. Peonies, like roses and tomatoes, are heavy feeders. 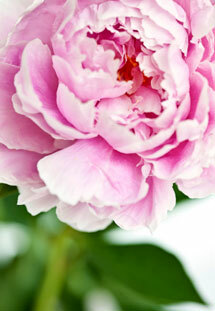 When planting your peonies, make sure your soil is enriched with 1/3 compost and remainder with the original soil. After planting, top dress with organic fertilizer. Mulch well but don’t mulch around the stems of the plants, leave at least two inches from the stems. Divide and replant established clumps in early fall. Cut the stems of the plants down to within an inch or two of the soil level. If you observe ants on your peonies plants, leave them alone because they are assisting in keeping your peonies healthy and allow the flowers to open.